Located in the northern end of Acklins, Grey's Point sits on Relief bay, which itself contains numerous productive bonefishing flats. Permit are also sometimes seen on these flats, as well as barracuda, jacks and sharks. There are often tailing bonefish right out in front of the lodge. There are many good flats accessible from the lodge on foot or by kayak/canoe. If you rent a vehicle for your stay, you have access to many other good flats, all from 5 to 30 minutes away, and all located on the northern end of the island. It would take weeks to explore all of the flats just on the northern end of Acklins, and all less than 30 minutes away. 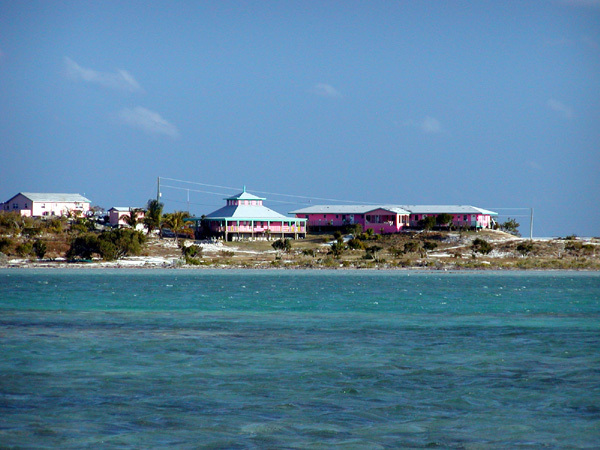 Grey's Point Lodge has traditionally been a fully guided operation, but they do offer packages for those anglers wishing to fish on their own, and guests can also choose to fish with a guide for one or more days during their stay. Each room contains two large double beds, Satellite TV, refrigerator, air conditioning, private bathroom & a desk/fly tying desk. Rooms are cleaned daily with fresh towels and linens. Laundry services are available upon request. The main lodge contains the kitchen, dining room, lounge / TV & conversation area and game area that includes a full size pool table. Wi-Fi is also available. Dinners differ every day. During your stay main course entrees may include baked and stewed chicken, conch and lobster salad, lobster in the shell, conch fritters, conch stew, baked and boiled grouper and snapper. All dinners will have either rice or baked potatoes, steamed vegetables, and fruit. Desserts are always a treat and reflect the Bahamian style cooking. Box lunches include sandwiches or tortilla wraps, bottled water, pop, cookies, snacks and fruit. Breakfasts include fresh fruit, juice and toast every morning and a choice of eggs, bacon, pancakes, oatmeal, grits or cold cereals. Grey's Point Lodge is a family run business that prides itself in making your trip as relaxing, pleasurable and as memorable as possible. Newton, Shirley, Garron and Lavanda Williamson have been running a bonefishing lodge for over 10 years now and they know how to please anglers! The lodge Your view each morning! 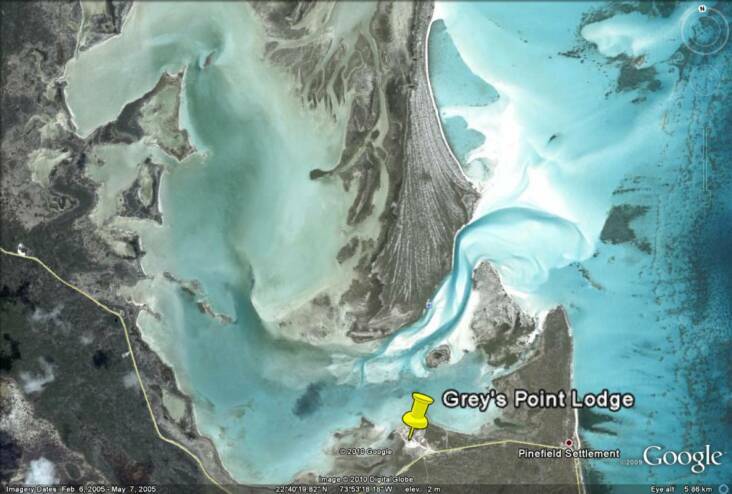 7 nights lodging at Grey's Point Lodge (located on a great bonefish flat), all of your meals on Acklins, all taxes, use of a kayaks & canoes to access miles of flats out the back door, pick up and drop off at the airport in Spring Point. You pay for your flights, any Nassau expenses, alcohol & rental truck if desired, though not necessary. Guided trips can be arranged and cost $450.00/day for two anglers. 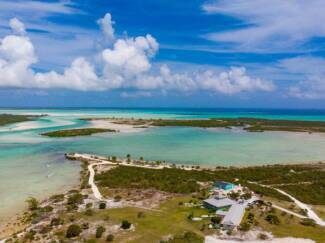 Come and enjoy unspoiled Acklins Island in the Southern Bahamas! 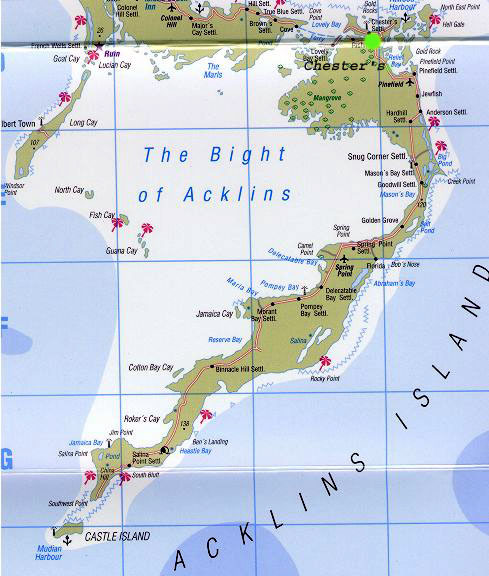 *Please remember, Acklins island is a remote island paradise. Only approximately 400 people live there, and there are only two flights per week. Every effort will be made to provide of all of the amenities and services listed, but we urge you to be flexible and understanding during your stay. A deposit of 50% is required within 15 days of booking to confirm a reservation. The balance is due 90 days prior to arrival. Deposit is refundable, less a $100 per person processing fee, if written cancellation is received at least 90 days prior to the trip. A 50% refund will be made to client if written cancellation is received 31-89 days prior to the trip, and no refund will be made if written cancellation is received 30 days or less prior to the trip, unless a substitute angler is found, in which case a full refund will be made less a $100 processing fee. Receipt of deposit is acknowledgment that registrant has read and accepts the cancellation/refund and responsibility clauses. Cattaraugus Creek Outfitters acts only as agents for contractors or owners and outfitters, airlines, charter air, and ground transportation carriers or other services. Payment of funds for fishing and other Cattaraugus Creek Outfitters trips shall be deemed acceptance and consent of the following conditions. Cattaraugus Creek Outfitters or any of its affiliates or associated companies shall not be held liable for any loss or damages howsoever caused or arising from services provided by hotels or lodges, outfitters, guides, means of transportation or other services. Baggage and personal effects are the sole responsibility of the traveling client at all times.